In the Suffolk village of Woolpit, two mysterious children with green-tinged skin are found by the wolf pits. Are they from a strange land? Are they fairy folk? Or are they simply - green? 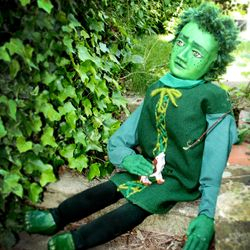 Following The Wild Man of Orford, The Green Children of Woolpit is another wonder tale from 12th century Suffolk, another fascinating exploration of the unexplained, told with music, poetry and life size green children puppets. 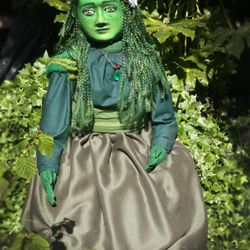 To book The Green Children of Woolpit for a festival, event or rural touring, please contact us for touring information and costs. We can also provide an accompanying puppetry workshop tailored to your specifications.